I spend much of my time behind my desk, writing about my travel experiences to exotic destinations, meeting fantastic people, eating simply mind blowing foods, and drinking the best wines. That’s where I am when not sitting here, although much time is spent in hotel room on their wireless internet, or in McDonald’s parking lot’s linked to theirs ! I engage in many of the top wine events, especially here in the Pacific Northwest, and feel blessed to live here. Here you will find a more “laid back’ attitude, and openness to discuss, educate and please us as we visit our vineyards and wineries. Even though I have an enormous wine complement in my wine cellar, and frequently receive many bottles of splendid wines to taste and write about, without cost, I still fell it necessary to support my local wineries here in the Umpqua Valley, Southern Oregon. Therefore I belong to many of the local “wine clubs”, receive x amount of bottles of releases from them regularly, which I usually share with friends, in exchange for opinions. Another reason I belong to these wine clubs is for the social aspect of belonging, and benefits associated with this. 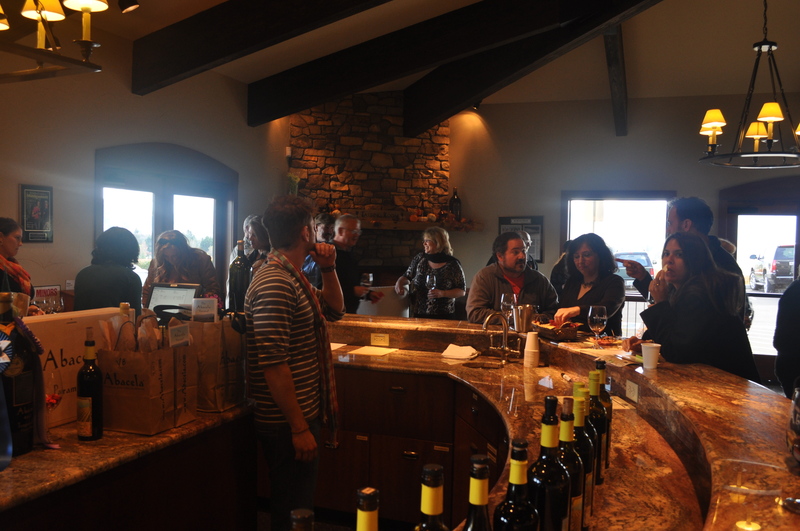 Most wineries enjoy “release parties” and “Club Member Shipment Parties” where the winery will pour wines being shipped out to members, and also provide some delicious “snacks” too ! 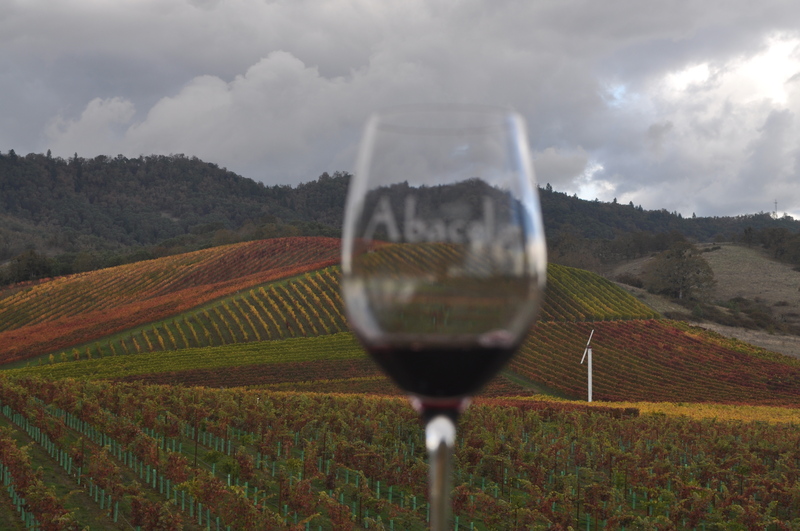 Such was the case this weekend at one of my local favorites, Abacela Vineyards and Winery in Roseburg, Oregon. As I am usually traveling a great deal, and usually miss their events, I was thrilled to actually be in town for this event. When I arrived I found their new event center packed with wine club members, sipping some of the Abacela brand, and snacking on some excellent food. If you have never heard of, or had the opportunity to taste their Tempranillo, you are surly missing out on a fantastic Spanish grape, introduced by this winery here in Oregon. And their newest member of the red family, Paramour, released this year, a 2005 Vintage, was also being poured to limited guests, myself being one,which I found just marvelous darling ! So if you have local wineries in your area, this is a great way to enjoy and learn about wines, make friends, reap the benefits of club discounts and specials, so join up, and maybe bring a friend.